The Hyalella Azteca is a species of Amphipod Crustacean which is found in North America. 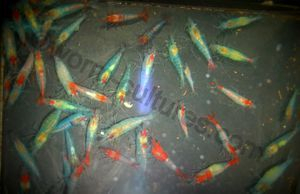 They reach an average length of 3mm – 8mm and are tropical and can be bred in fresh water. The shrimp feed on diatoms and algae in the wild, but in captivity they can be fed on basic fish food, as well as cucumber, sweet potato, peas (podded), courgette, etc. The other great thing about them is they don't have a down time when it comes to breeding. As long as they are kept at the optimum temperature they'll continue to breed. 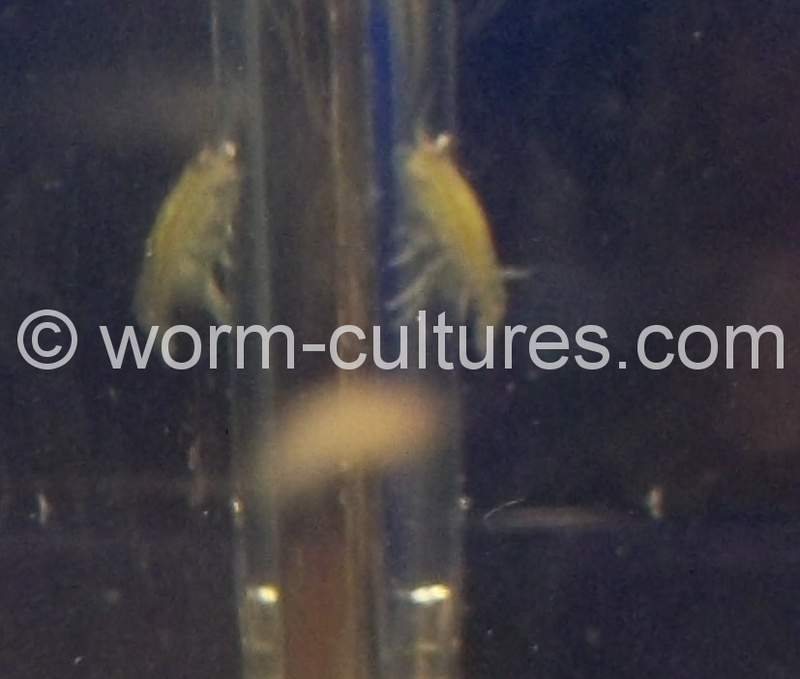 The shrimps are extremely easy to culture and in no time you will have plenty of them to feed to your fish. I have been keeping these for quite some time now, and can promise that if you look after them correctly, you'll have hundreds in a month or so. I also keep these in my fry tanks so that they can clean up the excess food the fry don't eat, and when the fry are bigger, they have instant food full of protein. All in all it's a win win situation. A watertight container, small tank's etc are ideal, but any container that can fit into your space will suffice. De-chloriniated water, tank water is ideal, with a PH of about 7 should be fine, and a temperature of between 22°C and 28°C. A substrate that helps keep the water neutral, I use limestone chippings. This also gives them places to explore, as well as places for food to find and to hide. Depending on the size of the container, either an airstone or small sponge filter is needed, just to agitate the surface creating more oxygenation. When you need to harvest the shrimp, there are a number of thoughts as to which is best, and all have their merits. Syphoning out with a turkey baster when feeding, making a small trap by putting some food into a small lidded container with holes in it. The food attracts the shrimps, they crawl through the holes, and then remove the container. Put some food into a net, place in the container, and when the shrimp come for the food, remove the net. If your colony is well enough established then a quick swish with a fine net will capture enough to add to your tanks for feeding. The shrimps will be posted in a doubled sealed bag, with padding in a jiffy bag (colder months will mean using a heat pack and postage will increase to take this into consideration). A couple of extra shrimp will be included to allow for any losses should there be any.